Some of us dream all year about going on a fall foliage cruise, and it's easy to understand why . . . 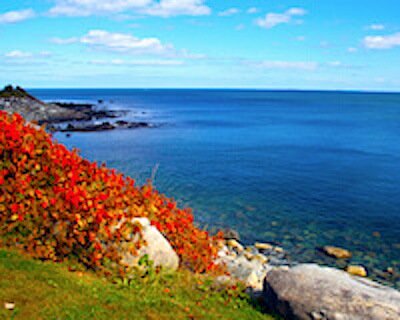 Imagine brilliant crimson, orange, and golden foliage splashed against the rugged New England and eastern Canadian coastlines, layered between brilliant blue sky and even bluer water. 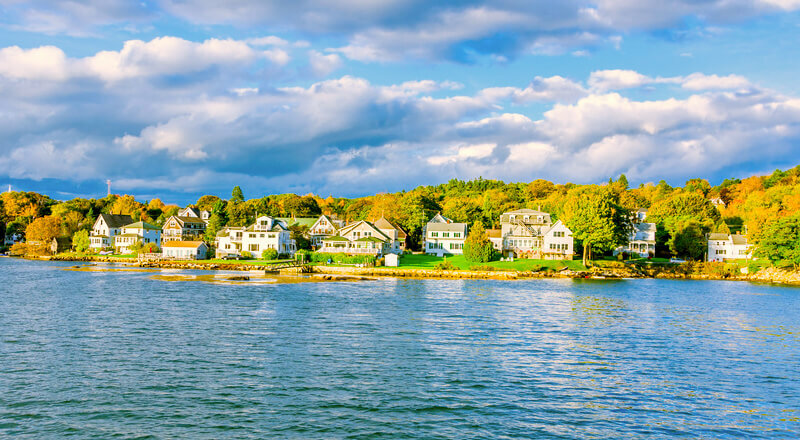 Take a day trip featuring a coastal cruise to Cape Cod, a 3-hour picnic cruise to the Boston Harbor Islands, or venture further on a cruise lasting a few days or a week. More cruise lines than ever are offering coastal foliage cruises from Boston: Holland America's Maasdam and Veendam, Norwegian Cruise Line's Norwegian Dawn, Royal Caribbean's Brilliance of the Seas, Seabourn's Seabourn Sojuourn, and Crystal Cruises' Crystal Symphony. Best of all, taking one of these fall foliage cruises couldn't be easier. You can book your cruise online, board your ship at Boston's centrally-located CruisePort, and then relax as you travel up the spectacular New England and Canadian coast during the most splendid season of the entire year. So don't just dream . . . make it happen! 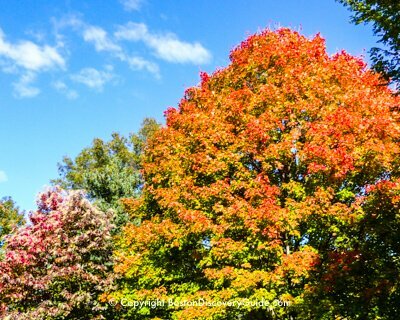 Fall Foliage Cruises - Day Trip or Overnight? If you have several days or longer, choose a fall foliage cruise up the coast of Eastern North America past Maine and Canada. In addition to vibrant sceness of crimson and golden foliage, you'll see many lighthouses, quaint villages and ornate "summer cottages" along rocky coastlines, and even fjords and waterfalls. At Ports of Call such as Portland and Bar Harbor in Maine and Saint John and Halifax in Canada, you can dine on fresh lobster, visit maritime museums, and enjoy natural beauty along scenic walking trails. In Quebec City and Montreal, you'll experience friendly French Canadian culture and dine in top restaurants. Some cruises even take you along the St Lawrence River and Gaspé Peninsula - surely some of the most spectacular scenery in the Northeast! Don't have much time? 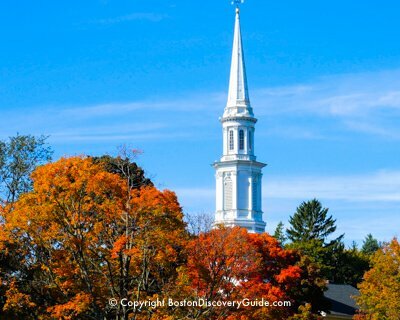 Opt for a day cruise to beautiful Cape Cod or Boston's Harbor Islands. 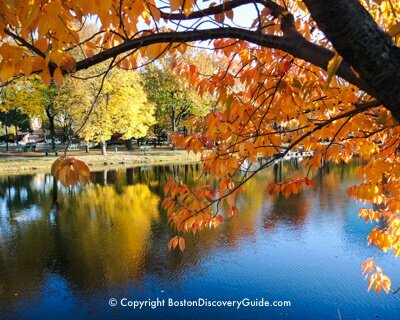 Even if you have only an hour, take a cruise up the Charles River and enjoy views of colorful foliage on both sides of the river. Combine a scenic fall foliage cruise around Boston Harbor with a delicious brunch or lunch on the elegant Yacht Northern Lights during October and early November. The relaxing 2.5 hour brunch cruise gives you panoramic views of fall colors around the Boston Harbor Islands while you enjoy a tasty 3-course brunch, with mimosas and Bloody Marys available for purchase. You'll see lots of historic sites along the way, and also hear some of the best stories about Harbor Island pirates and ghosts on this narrated cruise. 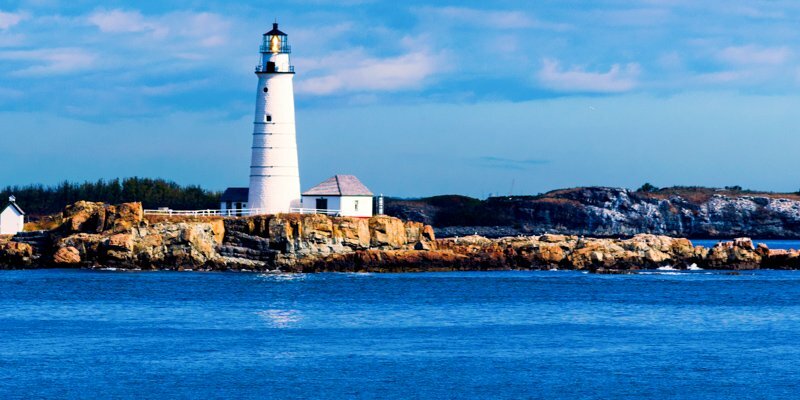 The 2-hour lunch cruise combines sightseeing and colorful fall foliage around the Boston Harbor Islands and takes you past Long Island Head Light, Boston Light (America's oldest light house), Fort Warren on Georges Islands, and Fort Independence, as well as numerous islands. A gourmet picnic lunch and non-alcoholic cold drinks to enjoy on board are included in the price of your ticket, and you can purchase beer, wine, cocktails, and hot beverages. Sit back, relax, and enjoy the gorgeous sights! To see the New England and Eastern Canadian coastlines in their most glorious season, take one of the popular 5, 7, 10, or 14 day cruises out of Boston's Cruiseport. You'll follow the coastline up along Maine, and then, depending on which cruise you choose, perhaps New Brunswick, Nova Scotia, Prince Edward Island, and Quebec. In addition to vibrant scenes of crimson and golden foliage, you'll see many lighthouses, quaint villages and ornate "summer cottages" along rocky coastlines, and even fjords and waterfalls. At Ports of Call such as Portland and Bar Harbor in Maine and Saint John and Halifax in Canada, you can dine on fresh lobster, visit maritime museums, and enjoy natural beauty along scenic walking trails. Some cruises even take you along the St Lawrence River and Gaspé Peninsula, scenic fjords, and seaside villages along the rocky coast of Maine. In Quebec City and Montreal, you'll experience friendly French Canadian culture and dine in top restaurants. And of course you'll enjoy the luxurious comforts aboard your cruise ship, gourmet meals, and fun activities. Looking for a short or local fall foliage cruise? Fall foliage cruises departing from Boston range from very affordable to pricy depending on which cruise line you choose - but you're still getting a huge bargain compared with what you'd pay for similar accommodations and meals on land if you stayed in hotels and dined in restaurants - and that's without the fun of the cruise and the spectacular scenery! However, you can almost always find cruise discounts and deals. The links in the above sections show you best prices and specials for each ship - and you can also check Travelocity's Cruise Deals to get the big picture. If you're not from New England or Eastern Canada, you may be surprised by how chilly our autumn nights - and days - can get. You'll likely encounter outdoor daytime temperatures in the 50s and 60s during September, and as low as the 40s during October. Nighttime temperatures can be even cooler. Rain is always a possibility. Pack clothing you can layer, including a warm sweater and scarf, comfortable walking shoes, thick socks, and even gloves and hats. Add an umbrella and a waterproof jacket - and you'll be all set! 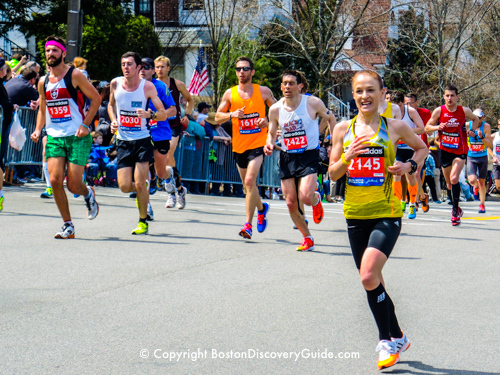 Need More Boston Cruise Information? 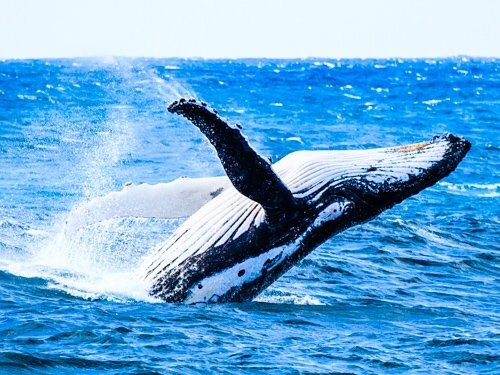 Cruises to Bermuda - Don't miss these popular weekly cruises! Boston Shore Excursions - Find out about all the exciting possibilities! 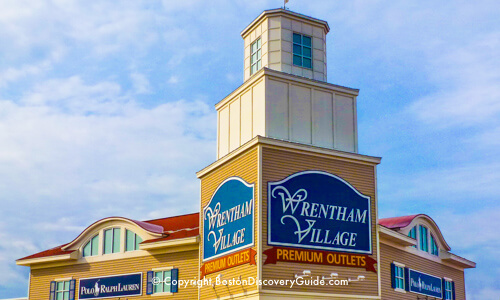 Luggage Storage Options - Where to store luggage before or after your cruise - the question Boston Discovery Guide gets most often!